If you have been looking for a home that you can put your very own stamp on it then this is the house for you. This 1930’s home exudes charm and has great bones making it the perfect option for those people looking for something a little bit different that is situated in a great location. 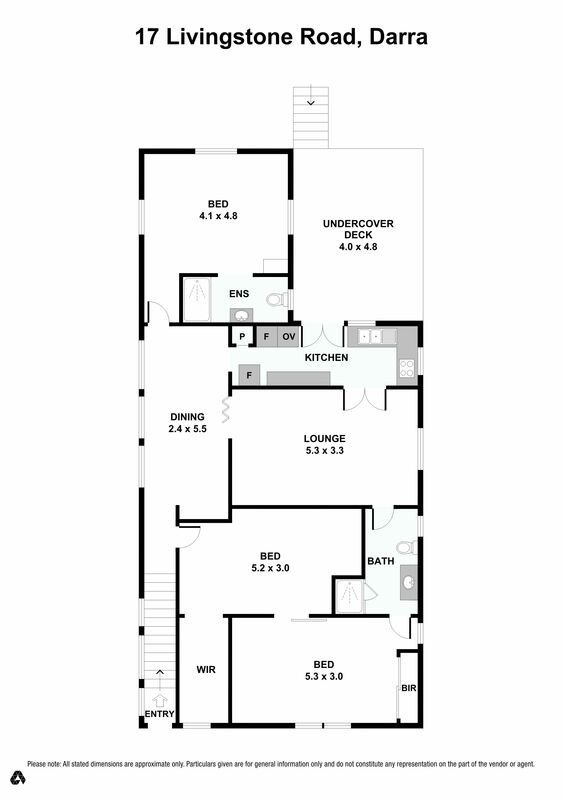 The home features 3 good sized bedrooms, the main bedroom with an ensuite and another with a 2 way bathroom. There is a central lounge and a separate dining room and the kitchen has that lovely country feel without losing any of the modern conveniences. There are lovely timber floors throughout the home and the casement windows give the house that historical feel and feel lovely underfoot. With a delightful timber deck out from the kitchen you will love entertaining your friends especially as there seems to always be a gorgeous breeze. Downstairs while not regulation height there is a utility room or extra play room, another toilet and an abundance of room for storage. All of this situated on a 410m2 block. Come in and renovate and stay for a year or settle in for the long haul. But have no fear you can move in today with nothing to do until you are ready. Darra is only 17 km from the centre of Brisbane is the house is located just a short distance from Darra Train Station, Darra State School and with excellent public transport available has easy access to other local schools. Mt Ommaney Shopping Centre is less than 10 minutes away.